Fallout 4 includes an extensive crafting system which ties into equipment customisation and base building. But feel free to skip all that. 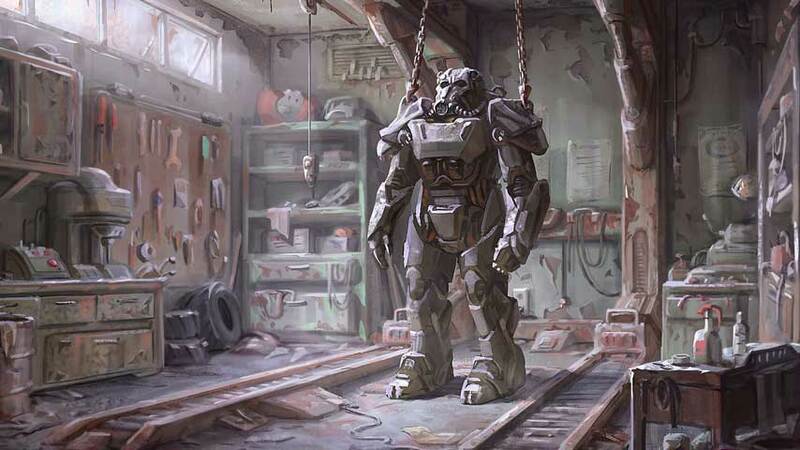 One of the top headlines from Fallout 4’s E3 2015 reveal was the crafting system. Players can dismantle objects in the environment, using the parts to pimp their power armour or put together new stuff for their bases. It sounds pretty absorbing, but there’s good news for those of us who don’t have 400 hours at our disposal: you don’t have to do it. “It’s a completely optional, freeform thing that you can do, if that’s what you want to do,” Bethesda boss Pete Hines told GamesRadar. Of course, if you do go all out and build an enormous town there are various benefits to be unlocked – but you don’t need that stuff to progress through the game, and can just rely on loot and merchants if you prefer. Good to know. Hines said previously that Fallout 4’s base building is more like Minecraft than Skyrim, so if you want to put in the time you can get really creative. Fallout 4 hits PC, PS4 and Xbox One on November 10.